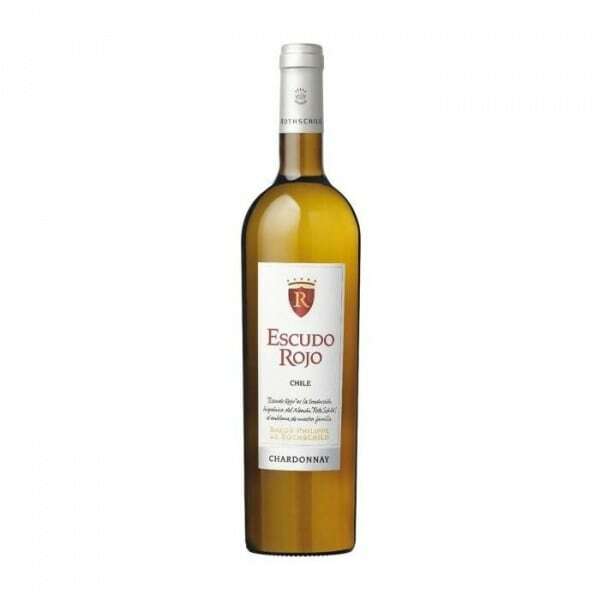 The Escudo Rojo Chardonnay shines in attractive straw yellow with lively gold. Refined, multi-layered bouquet with subtle hints of white flowers and roasted almonds, which later develop into powerful, slightly exotic aromas of white peach and mango, elegantly fused with delicate roasted notes and fine vanilla. On the palate first round and rich with a lot of aromatic white fruit, supported by a touch of fresh vanilla. Then juicy, with elegant fusion and perfect balance of exotic fruit, gingerbread and hazelnut. The expressive, long-lasting finale is an excellent indicator of the rigorous selection of the best Casablanca Valley vines. A true explosion of blossoms, fruits and spices, which leaves the intense, aromatic richness, harmony and complexity of the palate, which has become the hallmark of large and elegant Escudo Rojo Chardonnays from Chile! Escudo Rojo Chardonnay comes from the Casablanca Valley, Chiles region par excellence for white vines, especially Chardonnay. About 80 kilometers northwest of the city of Santiago and just 30 kilometers of air from the Pacific Ocean, the vines here enjoy a mild, maritime climate without sudden temperature fluctuations, in which the grapes ripen in peace and preserve their juicy fruit aromas. Compared to the more southern vineyards, slightly elevated acidity of the grapes from the Casablanca Valley, the Chardonnay gives a wonderful balance of aromas, alcohol and acidity. Fits marvelously to fish and seafood, grilled, roasted and with creamy sauces, also to lobster with freshly baked mayonnaise, carpaccio of salmon or tuna, to tender veal and vegetables.